Do you ever get the feeling that there’s more to biblical faith than anyone realizes? Do you feel that maybe we have a narrower view of Jesus than we should? If you do, perhaps you have recognized something that has subtly grown up around us as Christians. Both the book I’ve just written, Boundless, and the Boundless Jesus Bible Study that accompanies it, and the book I contributed to, Where There Was No Church, help people get beyond the limitations of Western Christian culture. The global faith in Jesus mostly started in Rome, spread through Europe, sailed on boats to the Americas, and then was shipped out to the world. It has a European feel to it because that’s where it came from. I’ve seen and felt that fact many times during my 20-year career as a mission researcher. I’ve sat in services in India, Taiwan, Brazil, and other nations that almost exactly followed the pattern of churches I grew up in during my childhood in Canada or the churches I’ve attended in the USA as an adult. The problem is that this European-American cultural box stifles us in many ways. It’s good in many respects—don’t get me wrong. I grew up as a preacher’s kid and still enjoy going to a Sunday School class. But when I’ve traveled to very different places, I’ve seen glimpses of what might be. The common format for Christianity provides only one way of doing things. Tragically, it’s a box that turns off many people. Maybe you know of someone in your family who grew up in the church and now no longer attends. He or she has left your church and now doesn’t attend anywhere. Maybe it’s your own son or daughter, or your nephew or sister. Maybe you know of other friends who seem spiritually interested but just don’t connect to a Christian fellowship. It’s hard to understand why. The sad truth is, in the USA, Canada and Europe, young people are leaving their faith behind in droves. The fastest-growing religious category in the USA is “unaffiliated.” According to Pew Research, when asked to pick their religion from a list, now 25% of Americans say “None.” Other research shows that most of these people grew up with a faith and most of them now see virtually no value in church attendance. Why are they leaving? A word that Barna Research found them using is “boring.” That’s how two-thirds of unchurched youth and even one quarter of young people inside the church described the Christian faith. Boring. Church leaders have tried to woo back these people with louder music or pastors who wear the latest sneakers, but it really amounts to repackaging the same thing. When I’ve traveled over the last decade, I’ve realized one answer might be to get completely outside the European/American cultural box. I’ve had the rare opportunity to spend time with people who show what faith could look like if it didn’t wear European or American clothing. I visited people who don’t call themselves Christians but who still believe in Jesus as their Lord and Savior. 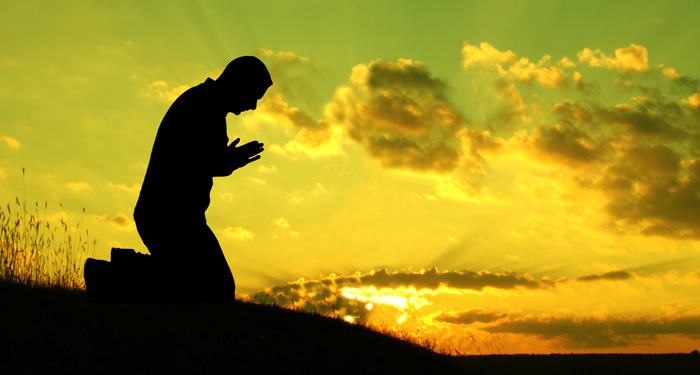 Some come from Muslim backgrounds and call themselves Muslim Followers of Jesus. Some grew up as Hindus and now call themselves Yeshu Bhaktas, or devotees of Jesus. As I visited them and worshipped with them, I saw an incredible diversity of faith. I also saw four principles time and time again. As I thought about these principles, I realized they had the power to help any believer in Jesus get outside the cultural boundaries that have grown up around Christ. Find a new vitality in their own faith. We can grow closer to God and can develop more of the Christ-like qualities we long for. Create doorways to Jesus that can help the “Nones” find what they are looking for. Provide hope for the majority of the “unreached” part of the world, the people from Muslim, Buddhist, Hindu, and tribal backgrounds who have not yet discovered a way to follow Jesus. 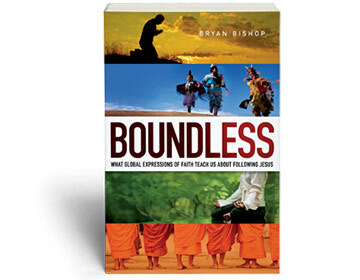 In Boundless, I tell the story of my journeys and I share the principles I discovered. It’s full of fascinating people and hope-filled ideas. You can get the book at these sites, or at a bookstore near you. If you want to live a more boundless, more expansive life, I invite you to buy the book and subscribe to my newsletter. What could it mean for you to discover other cultural ways to follow Jesus?